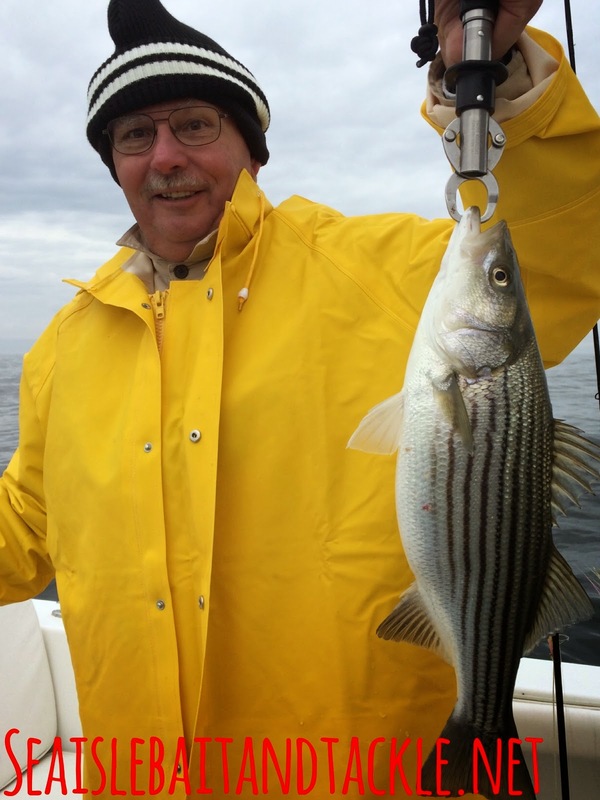 Mike R has been working his tail off around the shop the last year and finally had a chains to get out and get in on the great striper action. 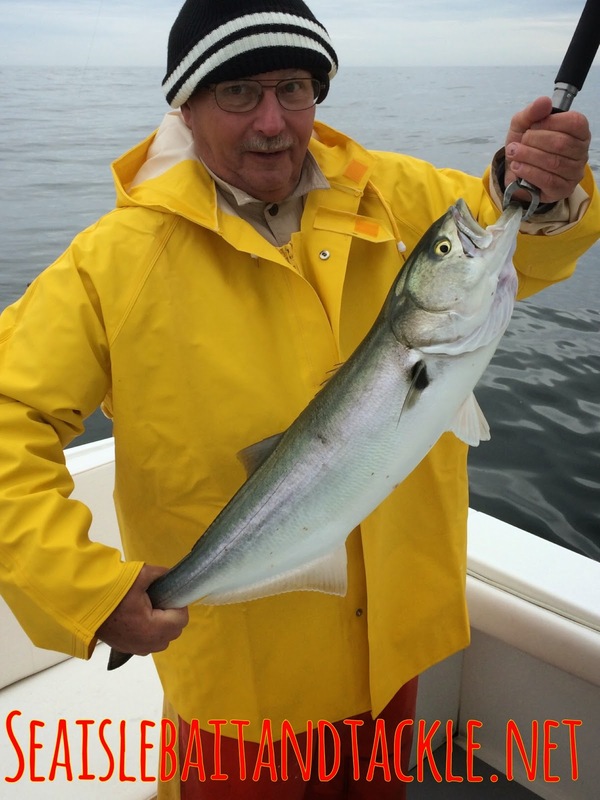 He jumped aboard with Captain Joe Hughes and they headed out. No one felt much like trolling so they threw soft plastics and plugs ended up with 10 or so stripers with some blues mixed in. Good job Mike and we thank you for all the hard work you do.